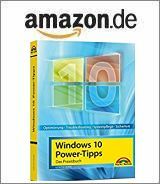 [German]A Windows 10 upgrade requires an installed and activated Windows 7 SP1 or Windows 8.1 and setup has to be executed from this Windows version. But it’s not necessary to run a full upgrade. There is a way to do a clean install of Windows 10 and activate this copy, if the system contains an activated Windows 7 SP1 or Windows 8.1. The hack discussed below doesn’t provide illegal hints to activate Windows 10. It is required, that there is an activated Windows 7 SP1 or Windows 8.1. Also a Windows bootable install media created with Windows Media Creation Tool is mandatory. Then it’s possible, to create a file GenuineTicket.xml, do a clean install and activate Windows 10. This is pretty helpful, if Windows 10 upgrade fails with a fatal error and rollback to previous Windows. This enables Windows 10 to activate the copy after a Windows restart. Another user posted a short hint at reddit.com, how to create the file genuineticket.xml from within Windows 7 SP1 or Windows 8.1. Here are a step by step guide, how to proceed. 1. First download an install image using Microsoft Media Creation tool and let the tool create an install DVD or an USB stick. 2. Open explorer and navigate to folder source on the install media and copy the file gatherosstate.exe from folder source to your desktop. 3. Execute gatherosstate.exe to create the file GenuineTicket.xml. This must be done in an activated Windows 7 SP1 or Windows 8.1. 4. Save the file GenuineTicket.xml to an external media (USB drive, SD card). 5. Boot your system with a Windows 10 install media and do a clean install. If a key is requested, skip that question. This is half way down your Windows 10 install. The problem: This copy can’t be activated, because we don’t have a proof that the machine ran a legite Windows for an upgrade. So we need to process the next two steps. 1. Launch explorer.exe in Windows 10, go to View tab and check the option Hidden items. Then restart Windows 10. After login Windows 10 should get automatically activated. Hope it helps to install Windows 10 upgrade on machines, where Windows Update or setup.exe throw an unrecoverable error. This entry was posted in Windows and tagged clean install, Upgrade, Windows 10. Bookmark the permalink.